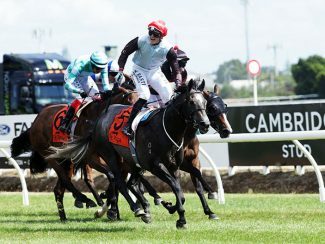 Matamata galloper On The Rocks provided rider Jake Bayliss with his second New Zealand Group One prize when he stormed to victory in the Gr.1 Herbie Dyke Stakes (2000m) on Saturday. 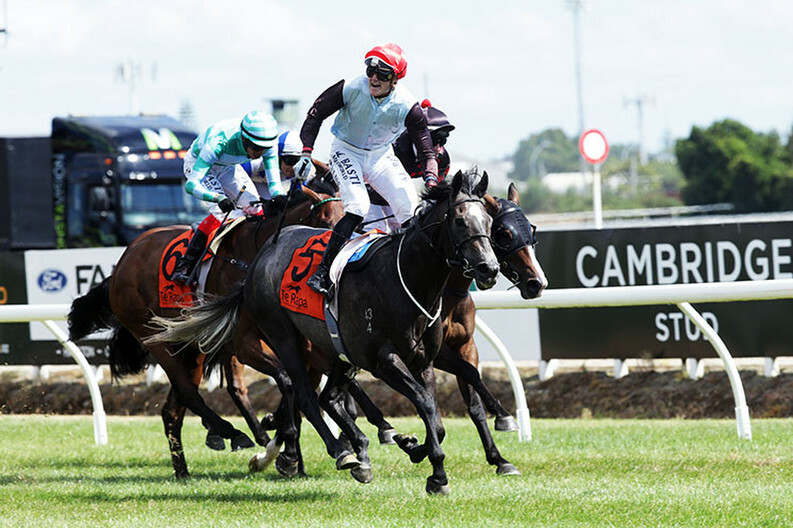 Australian-born Bayliss, who is enjoying his second extended riding stint in New Zealand, had picked up his first elite level victory when successful on Volpe Veloce in the 2018 Sistema Railway (1200m). Brought to New Zealand in 2017 to ride for trainers Mike Moroney and Pam Gerard, Bayliss repaid their faith with a superb effort to guide On The Rocks to victory at Te Rapa for the Matamata stable. Bayliss had the Alamosa entire well-placed in midfield in the early stages of the contest before setting out after the pacemakers with 600m to run. On The Rocks tracked hot favourite Danzdanzdance into the race before angling into the clear to make his challenge at the 300m mark. On The Rocks quickly ran to the front and hit the finish line over a length clear from outsiders Tiptronic and Elusive Treasure with Danzdanzdance weakening on her run to finish a well-beaten fifth. Co-trainer Pam Gerard was swamped by well-wishers as she made her way to the Te Rapa birdcage to greet the winning combination. “I don’t really know what to say as I’m just so happy for everyone who has supported us,” she said. “Jake, well done, and what a great little horse. A victory at Group One level has added considerable value to any potential stud career the four-year-old entire may have however Gerard explained that he wasn’t gelded earlier in his career as she sought to add some fire to his placid nature. “He was never going to be a stallion and I had to fight with Mike to keep him as a colt,” she said. “I wanted to leave him as a colt as he was quite quiet and I hoped that little bit of edge might make him a better racehorse. “I don’t know (about a stallion career) as it could be quite different now. Successful on five occasions from just 12 starts, On The Rocks adds the Group One title to his earlier stakes successes in the Listed Trevor Eagle Memorial (1500m), the Gr.2 Avondale Guineas (2200m) and the Gr.2 Rich Hill Mile (1600m).